Item #: 62902D. 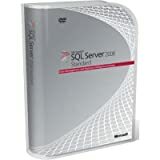 With Office Access 2007, information workers are able to track and report information with ease, using an improved interface and interactive design capabilities that do not require deep database knowledge or programming skills. Information-sharing is enabled through Windows SharePoint Services lists, which can be audited and backed up easily. Visual C# .NET Standard 2003 unleashes the full power of Visual C# .NET, the tool for application development in the new .NET format! FileMaker Pro handles all business data-management needs, including job tracking, asset management, inventory, customer information, and payroll, over the company intranet, local area networks (LANs), or even wired or wireless handhelds. 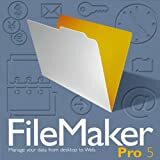 This version of FileMaker Pro has many enhancements based on input from users, IT management, and third-party developers. It can now query databases based on field, and features a new Execute SQL script step, as well as a revamping of Instant Web Publishing, which allows users to publish in the same format as their FileMaker Pro files, without writing any code. Web Companion translates a number of multistep scripts, providing a high degree of fidelity between PC-hosted FileMaker Pro databases and those published on the Web. You can also import specifically named ranges of Microsoft Excel data, a useful feature if there is more than one row of description or label data above the actual datasheet data to be imported. With a new multithreaded, built-in HTTP server, the processing capability of FileMaker Pro delivers faster response times for all requests, including static data and image displays. Web Companion now supports buttons in headers and footers, sorting by clicking column headers, and uniform row heights. Note: This is an upgrade version. 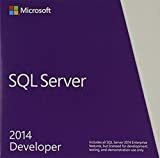 Microsoft Visual Studio Team Foundation Server 2012 enables everyone on the team to collaborate more effectively, be more agile and deliver better quality software while building and sharing institutional knowledge. 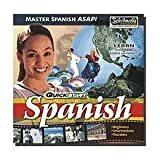 This is a 2 Audio Disc Set!Learning Is Fast Fun and Friendly with QuickstartSpanish!Product Information What is most difficult about learning another language? Getting started! Quickstart Spanish is designed for you to start quickly and maximizes the full potential of the widely accepted method of learning alanguage - the "Immersion" Method. Designed in Europe where most people are at minimum bilingual Quickstart Spanish is engaging addicting fun and easy to learn!IncludesLearn over 800 essential words and phrases!CD 1: Essential Phrases Invitations Telling Time Asking for Directions Calling a Taxi Travel by Train Travel by Plane At the Airport and More!CD 2: At the Hotel At the Restaurant At the Post Office Telephone Phrases Shopping At the Doctor At the Pharmacy and More!Total Time: 2 hours (approx. )Product Features A Quick and Easy Way to Learn a foreign language - anywhere! Learn in your car on the plane or wherever when you are on the go! No Complicated Manuals Required just load the CD play and begin learning right away! Includes Printable Reference Guide in PDF format (Adobe Reader required).